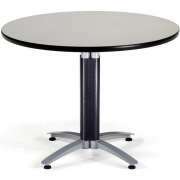 No matter what kind of table you need for your church, school, or company, Hertz Furniture has it all. 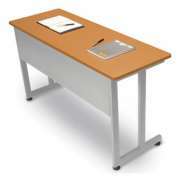 From folding tables to drafting tables, computer tables to conference tables, you will find a huge selection to suit any style or budget. How many tables should you put in a room? That depends on what kind of tables they are and how many people you need to seat. It doesn&apos;t matter if you are replacing one item or you are outfitting a multi-story building. 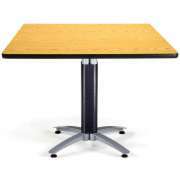 Our tables are sturdy, dependable and attractive, so you know you are making the right choice when you purchase from Hertz Furniture. 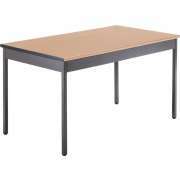 What kind of table is right for my school? 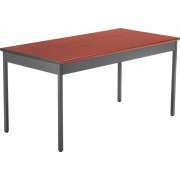 Schools require many different kinds of tables. Elementary schools and preschools need sturdy activity tables so little ones can learn and play comfortably. 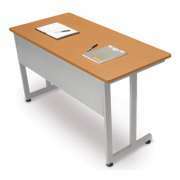 We have a huge selection of classroom tables in various sizes, heights and shapes. 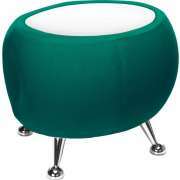 They come from experienced children's furniture manufacturers including Mahar and Academia. To add some fun and flair to a learning space, try Educational Edge school tables with colored edge banding in a selection of vibrant hues. Which tables are good for art? To keep the creative juices flowing in the art studio, you need proper art tables and drafting tables. The right equipment helps students learn correct techniques as they are developing their skills. Our drafting tables are perfect for aspiring artists who are learning how to create drawings that are to scale, or even for professionals in an architecture firm. 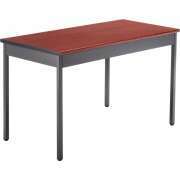 Where can I find good lab tables? When young scientists are first starting to experiment, it is important to make sure that they are conducting themselves in a safe and proper manner. 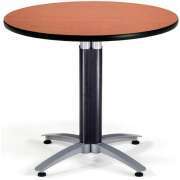 While regular materials might be strong enough to support the equipment that is needed for experimentation, normal tabletops are not built to withstand harsh chemicals and materials. Lab tables from National Public Seating and Diversified Woodcrafts come in a selection of surface materials. Their special chemical-resistant or epoxy-resin tops are designed specifically for laboratory applications. What kind of tables should I put in the cafeteria? Make sure your students have plenty of places to sit and eat their meals in the lunchroom with our sturdy and comfortable cafeteria tables. 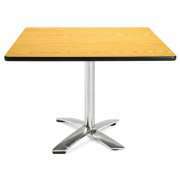 Lunchroom tables come with a number of seating options including benches, stools or chairs. They lock in a partially-folded position for easy cleaning, and have wheels which make them easy to transport when they are fully folded. Where should you put computers in a school? 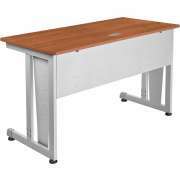 Computer tables will come in handy in a school computer lab or company training room. They will even fit well on the side of a classroom or in a library. 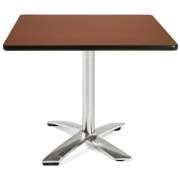 Unlike regular tables, computer tables come with extra features that are designed for comfortable desktop use. Many models have built in CPU holders and keyboard trays. Wire-management grommets in the work surface facilitate easy routing to reduce unnecessary clutter. The number of tables you should put in your room depends on how big the room is an how many students will be using it at one time. 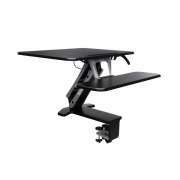 What kind of table should I get for my office? While a personal workspace usually has an office desk, other shared areas of a company require various table arrangements. For a professional boardroom or meeting space, try one of our sleek conference tables. 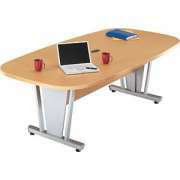 Many come from office furniture collections so they can be coordinated with other items in the workspace. Solid woods, laminates and veneers will enrich the atmosphere of your company and project a dependable professional image. 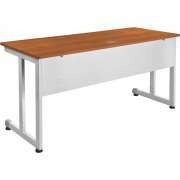 When you are hosting conferences, training sessions or professional days, you need some sturdy seminar tables so all participants can stay comfortable. Training tables take up less space than regular tables because they are designed for people to be seated on one side, facing the front of the room. Many models have wire-management grommets so laptops, tablets and other electronics can easily be plugged in without getting in the way. 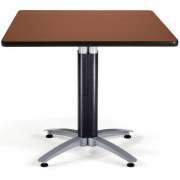 Flip-top tables are super convenient because training tables are only used occasionally, and this design saves space in storage by facilitating compact nesting. What is the most versatile table? 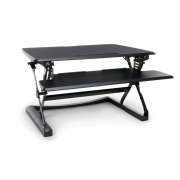 Folding tables will come in handy virtually anywhere. 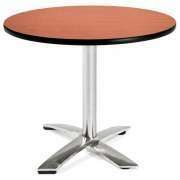 They can be used as banquet tables for formal occasions in a social hall, or for special events in the gymnasium. 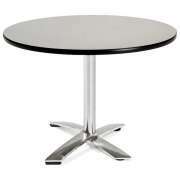 We have rectangular and round folding tables in a selection of sizes so you can find what fits in your space. 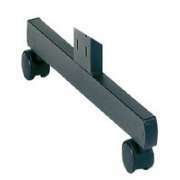 They are available in various surface materials. No matter what style of decor you have in your house of worship or school, Hertz Furniture has the tables you need to create a functional space. Our attractive budget-friendly selection can outfit any room you need to fill in style. If you are overwhelmed by all of the great choices and need help narrowing down your selection, contact the Hertz Design Center for free project-planning advice.